Daiji Woroti is a dangerous creature to encounter. 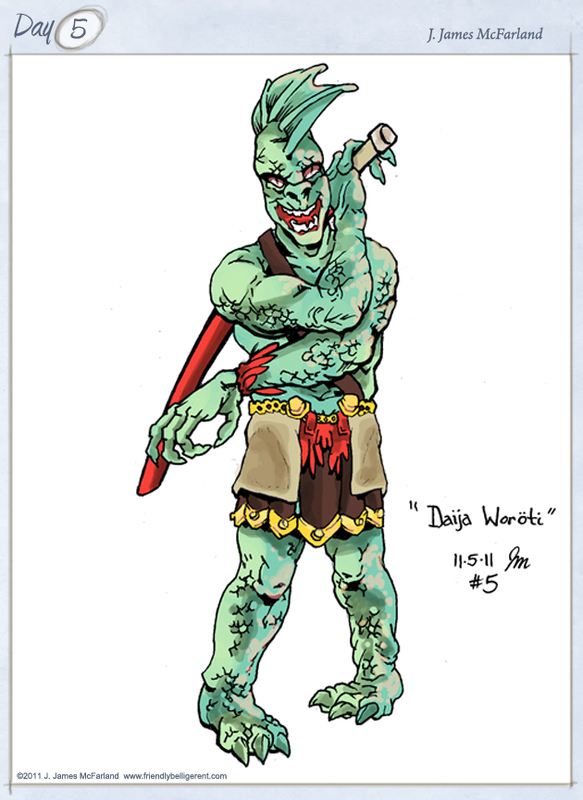 Clumsy, nearsighted, and sort of socially awkward, Daiji Woroti is rarely accepted into any of the late night snake clan festivities after a fierce salamander hunt. Gangly, and not too sure of how to start a conversation or make any friends, Daiji Woroti generally makes things even worse by using the worst and most out of place pick up lines on the ladies ever, and even misguidedly in front of his peers while screwin up his lines.